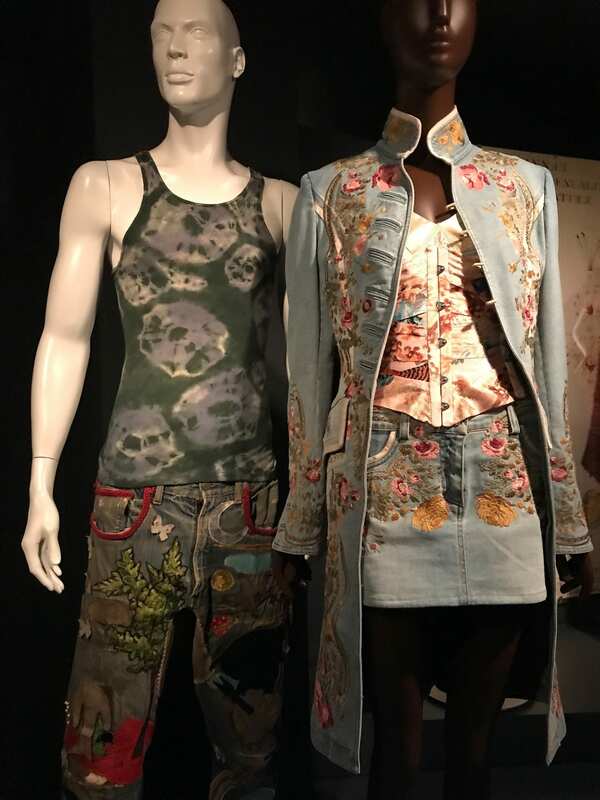 These pieces from Levi Strauss were curated by Emma Mclendon as a recognation for what impact demin has had on the fashion industry. The use of demin in history expanded from utilitarian use to a fashionable material that was easy to use and inexpensive to produce. The spreding trend of demin and the creativity that it allowed is captured in these pieces from Levi Strauss dated in the late 60’s. In this decade, personalization and diy was popular in fashion as an expressive style. These garments with excessive beadwork and embroidery present a unqiue use with demin that is not used just for functionality. 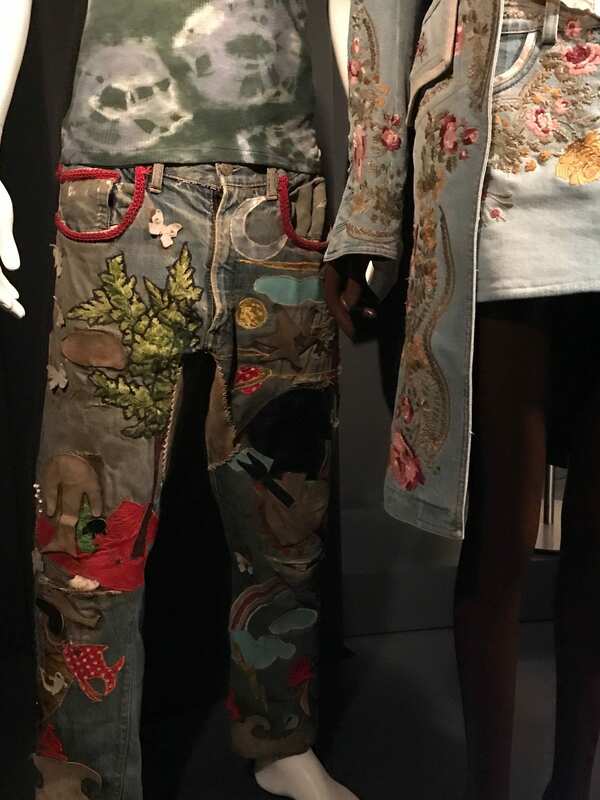 I think that the curators included these pieces to show the importance of demin in American culture and the relevance it holds in fashion. Demin is such as basic item that many people own, making it feel mundane and seem insignificant, but the fact that it is in every closet makes a point to put it in museums. 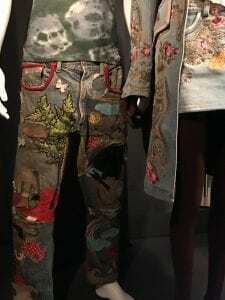 At first glance, the pieces look like they could be in any store front and not as a work in a museum, but the signature look of demin and the act of embelishing it is iconic to American culture. In Intro to Fashion Studies lecture, Giogio Armani’s exhibition at the Guggenheim was brought into topic because of the controversy it caused amoung the question whether fashion could be displayed at the same level as art. In this situation, the garments on display addressed modern dress of contemporary time. Suzy Menkes writes in her article Is Fashion Really Museum Art? about the level of discourse when it comes to fashion in museums and especially those that are self-funded, yet brings to point the educational aspect this exhibitions bring to the public. In the same sense as the Armani exhibistion at the Guggenheim, the Levi pieces displayed at the FIT museum represent a fashion trend both dated and contemporary style.